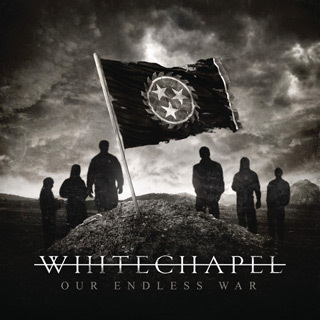 Knoxville, Tennessee-born Deathcore quintet Whitechapel know a little something about blistering Metal. Known for their dark lyrics and brutal approach, on their latest, The Valley, they get grim on a very personal level. Centered around true events in the life of the band’s vocalist and lyricist, Phil Bozeman, The Valley is bold, raw, and emotional. 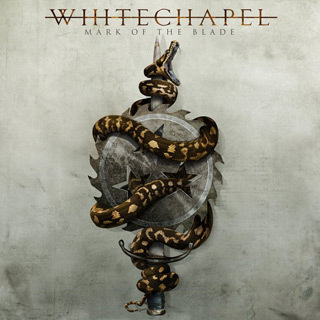 A career-defining moment for the band, their seventh disc sees each of the members of Whitechapel — Vocalist Bozeman, Guitarists Ben Savage, Alex Wade, and Zach Householder, and Bassist Gabe Crisp — stepping up their game to fire on all cylinders as a cohesive, flawless unit. Taking a moment out of his busy schedule of promotion for the record, which arrived on March 29th, Guitarist Savage recently sat down to discuss the band’s approach to recording the album, touring behind The Valley, plans for 2020, and more. 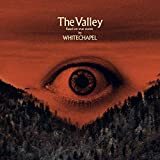 Cryptic Rock – Let’s just dive right into the new record, The Valley. The cover of the album — with the text “based on true events” — really makes this look like a True Crime-based film and not necessarily a Metal record. Presumably, that was an intentional piece of the album’s concept? Ben Savage – Phil wrote the lyrics and concept after most of the music was complete. He’s really a master at listening to a song and picking out a story to tell from what emotions the song gives him. Cryptic Rock – He is a very talented storyteller, absolutely. That said, the band has always been open with the fact that you generally always write the music first, and then add melodies and lyrics. For The Valley, did that change at all because it’s such a personal album for Phil? Ben Savage – No, it didn’t. I will say that he told us the concept after the base of the music was complete. 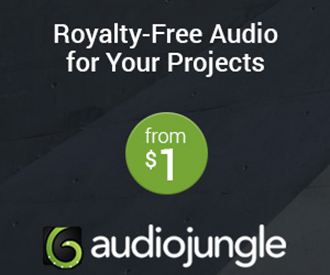 We paid extra attention to little details like overdubs and solos to really help the story come to life. Cryptic Rock – It worked wonderfully and it’s a killer album. Now, when you go into the studio to record something so deeply personal to a member of your band, is there an added stress on each of you, musically, when recording? Is there a pressure to delve deeper and also deliver something ‘more’ of yourself as a musician? Ben Savage – Yes, for most musicians it seems like there is a ceiling that you can only get so good. What I try to do when I think I’ve reached that point is to push harder and get out of my comfort zone, because that’s where the good stuff lives. Cryptic Rock – Absolutely. Pushing yourself is key to evolving as a musician and artist. Speaking of sonic evolution, “Hickory Creek” is Whitechapel’s very first track to feature only clean vocals. Was this a conscious decision, or did it just happen to turn out that way in the studio? Ben Savage – I feel it was conscious. When writing the song, we envisioned singing over the whole thing, so we had to make sure the song was 110% right before Phil laid vocals down. “Hickory Creek” went through around six different versions before landing on the final form. Cryptic Rock – It, like the entirety of the album, is fabulous. 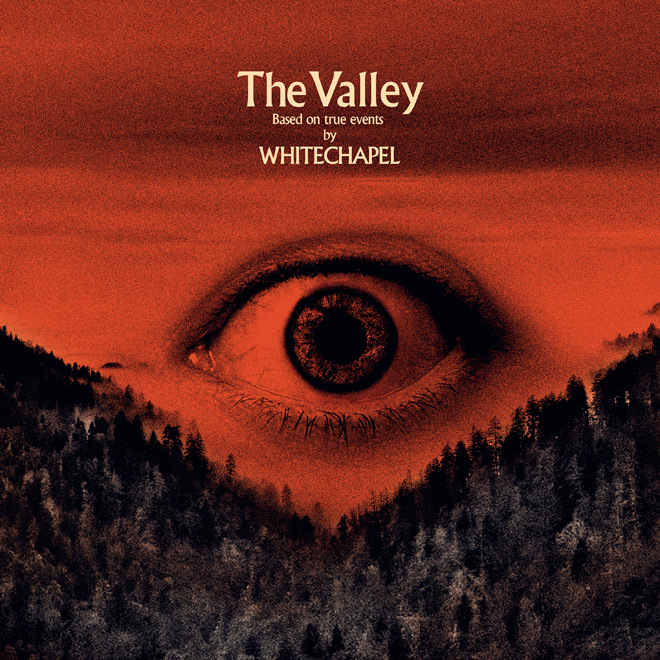 In fact, The Valley is raw and heavy – both musically and emotionally – and it shows some new facets of who Whitechapel are as a band. What do you hope that your fans take away from the album? Ben Savage – I hope our fans take away that we’ve always been this band. We take our music very seriously. Whenever they feel we’ve had a misstep in our career, we were still trying to reach for greatness. It’s just life happens and some circumstances are unavoidable. I feel with this record, though, the stars aligned for us. Cryptic Rock – This is absolutely a career-defining disc. Would you consider playing it in its entirety on tour? Ben Savage – Yes! I would love to play it in its entirety. For 2019, we’ll play a handful of songs from it, as well as songs from our recent discography that we haven’t played before — which will be fun. In 2020, we plan on going full-force with The Valley. Cryptic Rock – That will definitely make for some killer sets! Speaking of touring, you’re getting ready to hit the road in April with the Chaos & Carnage Tour featuring Dying Fetus, Revocation, Fallujah, Spite, Uncured, and Buried Above Ground. What should fans expect from this heavy package? 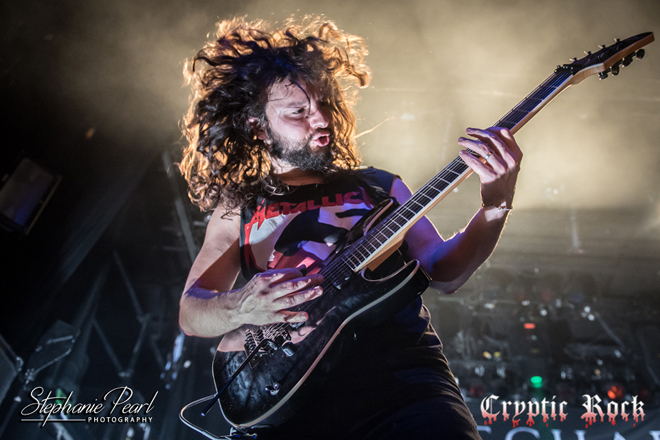 Ben Savage – Fans should expect a great display of the modern Metal sound in 2019. I can’t wait to go out and play for some thirsty metal-heads! Cryptic Rock – It should be a blast! Will you incorporate a bunch of the new songs into your set? Ben Savage – Yes, not the more “out there” songs, but the heavy hitters from The Valley. Those songs just fit the bill better. Cryptic Rock – Understandable. You need to have a cohesive setlist. So, last year, you did a 10-year anniversary tour for This Is Exile that, by all reports, went exceedingly well. Do you have any standout shows or memories from either leg of that tour? Ben Savage – The Denver, CO show at the Ogden Theater was really cool. It’s the biggest venue next to Red Rocks in Denver, so it was definitely a stand-out. Cryptic Rock – Will this become a tradition? As in, should we expect to see 10 years of A New Era of Corruption in 2020? 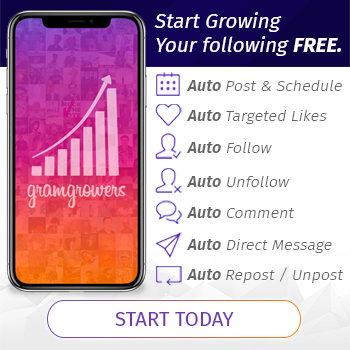 Ben Savage – It could be! We won’t play the whole album but definitely a handful of songs that haven’t been performed in years. 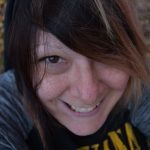 Cryptic Rock – That is definitely something to look forward to for next year! To shift focus for a second, realizing that you can never guarantee what will happen in the future and evolution is required for a band to not remain stagnant, let us ask you: So many bands in many of the heavy genres are evolving themselves further and further away from their roots. 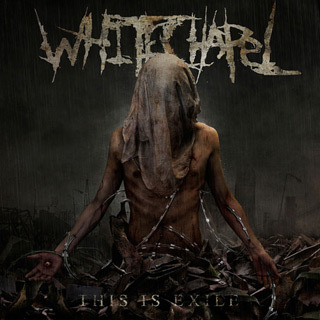 Do you think that we will ever see the day that Whitechapel is not rooted in Deathcore? Are there any new elements that you would like to incorporate into the band’s sound in the future that might shock fans? Ben Savage – I have a lot of “out there” ideas for where we can take our sound, but at the end of the day there are five of us and we all have to agree on the sound. Which is more exciting, because when you have a group involved, the end result becomes more fulfilling and varied. Cryptic Rock – Absolutely. It means more when the music is a reflection of all of you vs. just one of you. Kind of left-field, but just for kicks: What’s the funniest reaction that you’ve ever witnessed to one of your songs? Ben Savage – Probably a YouTube Death Metal elitist shaking his head in disgust on how much the music doesn’t fit his criteria. 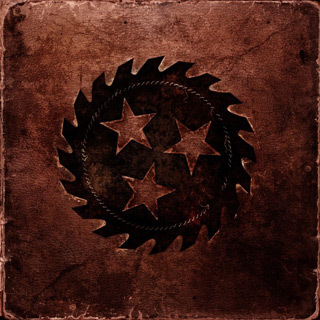 Cryptic Rock – Well, how dare Whitechapel not impress an armchair critic! (Laughs) Okay, last question. 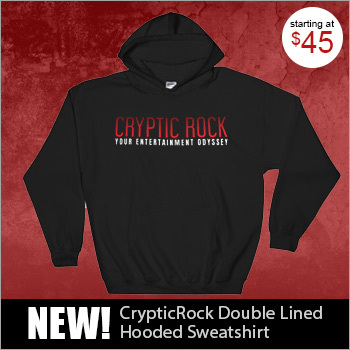 At Cryptic Rock, we cover music as well as films, particularly Horror and Science Fiction. Are you a fan of either genre and, if so, do you have any favorite Horror/Sci-Fi films? Ben Savage – Hereditary (2018). Hands down the most terrifying movie ever made. There are multiple layers to that movie, almost like two movies going on at the same time without you knowing about the other one. I love it!